Among the famous casino software brands as NetEnt or Microgaming that are specialized on the development of online products one can separate Pragmatic Play. The company is distinguished by the frequent development rates: extraordinary top-grade software is used by the most part of online casinos. It is not difficult to find Pragmatic Play slots of different genres in the menu of popular resources. The amount of fans of brand entertainment is growing fast thanks to the efforts of experienced computer experts, designers and other talented staff. Pragmatic Play casinos: What can we expect in the year ahead from the gaming solutions of software company? Top-priority direction of Pragmatic Play is the development of brand new interesting slot machines among which one can select entertainments of different genres. Popular Pragmatic Play slots, table games, scratch cards – the portfolio includes more than 150 products where 80 are adapted for the mobile devices. It has to be admitted that list of Pragmatic Play games is solid enough despite of the questionable history and development of provider. 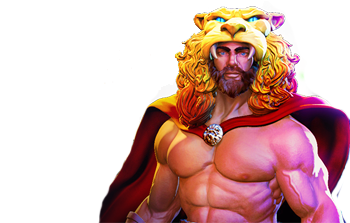 Among the most famous online slots games of pragmatic you can find Beowulf, Black Diamond, Grave Grabbers, Diablo 13, Hercules Son of Zeus etc. Also provider offers numerous progressive slot games as Bingo Slot, Monster Madness, Stars and Stripes. The section of table games includes some types of roulette (European, American, French), three variants of Blackjack and Baccarat. The lovers of videopoker Pragmatic Play proposes to play their personal versions as Jacks or Better and Joker Poker. To the addition of the online games, operators will have the opportunity to change settings, Bonus games, different variations of Free Spins, analysis of the financial indexes etc. TopGame Technology was founded in 2007 as the company that developed software for best online casinos. Numerous games had thrilled the soul of provider’s fans. The activity of the company was aimed at European countries and USA. However, after the legislative prohibition on the gambling activity in USA, brand did not disappear, but created personal gaming resources. In 2015 company underwent some changes and now famous Pragmatic Play ltd is the result of powerful rebranding. This step allowed company to start with a clean slate. 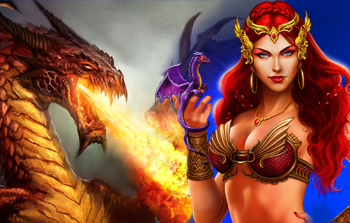 These days Pragmatic casino games provide fabulous graphics and colorful algorithms. Slot machines are adapted for numerous existed platforms; the easiness of the integration process provides the wide popularity of the Pragmatic games online among owners of online casinos. The comfort of player is keeping: gambler is able to activate favorite free Pragmatic online games on PC or mobile devices, playing through the use of browser version. Pragmatic software company has MGA license (Malta Gaming Authority) and got the certificate about security of random number source. During the development of gaming software, Pragmatic professionals use SSL encryption technology that saves the customer’s information and their funds against frauds.